Property Maintenance – Are There Self Cleaning Properties? If you’re like a lot of property owners, you’ve probably wondered how do expert property management firms keep their properties so well maintained? Sometimes it seems that certain properties never have any maintenance issues. Year after year the property looks good…there’s never a construction crew or a pothole or a crack. Everything always appears to be going well for that property. Truth is, the properties that look the best actually have lower costs for maintenance. That’s why we rolled up our sleeves and tried to find out why. What we discovered is not surprising. Dozens of studies (see below for some) show that costs escalate the longer maintenance is deferred! Surprised? Probably not. It’s likely that you have deferred maintenance on an important item in your own home (a/c, heat, that little leak in the bath) only to find that postponing routine maintenance has ended in real inconvenience and very high costs. We’ve also learned that when maintenance is deferred, the consequences are systemic. In other words, other seemingly unrelated maintenance items become more stressed and repairs or replacements become more complex (and more expensive). Certainly, property owners are being asked to do more with less. Ironically, property owners who do a little more property maintenance on a consistent basis end up spending less in both time and money over time. The most effective practice we’ve seen from property owners that enjoy fewer maintenance issues is the regular application of inspection, evaluation and reporting. 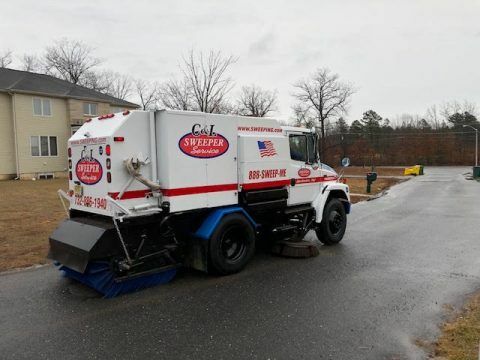 And yes, sweeping is our core service (three generations of sweeping service to the NJ region), however many of our clients have asked us to expand our business into all different areas of maintenance. Save yourself some money, stop deferring maintenance. Or better, give us a call at 732-886-1940 or 908-730-7888. We’ll help you determine how to budget and save money on your property maintenance. Asphalt has long been the material of choice for many paving projects, especially parking lots. Asphalt is relatively inexpensive when compared to other paving materials, long-lasting, requires minimal maintenance when properly laid, and generally takes less curing time before being usable. One important step in asphalt maintenance is a good sealcoat. Sealcoating is a process by which a specially formulated sealant is applied to protect the asphalt from deterioration caused by heavy usage, water or chemical penetration, and environmental factors such as harsh weather. A good sealcoating actually extends the life of your asphalt and keeps its appearance aesthetically appealing. There are three basic types of sealcoating, each of which has its own particular pros and cons depending on your specific needs. An asphalt-based sealant lasts between 1 – 3 years before needing a fresh application, the tar-based sealant has a lifespan of between 3 – 5 years and a petroleum-based sealant falls somewhere between. Not all sealants are available everywhere due to environmental issues and questions in certain areas, so an asphalt expert should be consulted before deciding which sealant is right and available for your parking lot. Regardless of which sealant type you use, keep in mind that temperature affects the outcome of the application. Warm sunny days with low humidity are the best times to apply the sealer. As a rule of thumb, late Spring into early Autumn is generally ideal months for sealcoating. Cool, humid weather will not allow the sealant to bind properly with the asphalt nor cure into a strong surface, and attempting to coat in cold weather is a total waste of time and money. 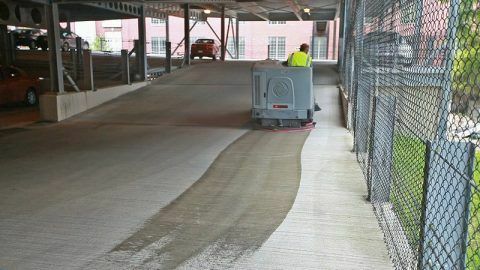 Winter is the least ideal season to seal coat, however warmer winters extend the opportunities for sealcoating projects. Avoid conduction a sealing job when there is a chance of rain, no matter how warm the day may be. Asphalt sealers are designed to protect the surface of the asphalt, not used as a crack filler. Any potholes, cracks, or other defects should be repaired before sealer is applied. Striping is often an integral part of defining parking spaces and adding to the overall appearance of the parking lot. Any striping should always be done after the sealant has been applied and cured. Your parking lot, whether giving access to a commercial enterprise or an apartment complex, takes up much of your property and is the first thing potential customers or residents see. 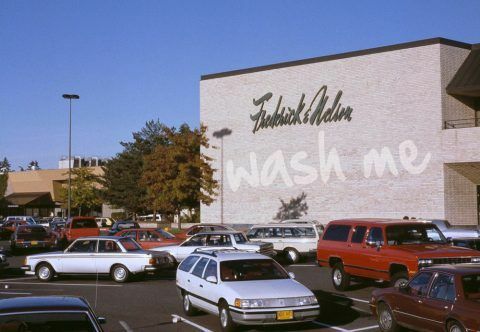 Keeping that parking lot clean and well-maintained gives a good first impression and shows pride of ownership. A routine sealing schedule should always be included as part of your asphalt maintenance program. Not only will that keep your parking lot in tip-top condition, it will save money over the long term. Thinking about refreshing your parking lot or pavement? Need to “spruce up” the look of your exterior pavement? If you’re located in central New Jersey, give us a call at 732-886-1490. Further North…call us at 908-730-7888. We’ll be glad to answer your questions about sealcoating.